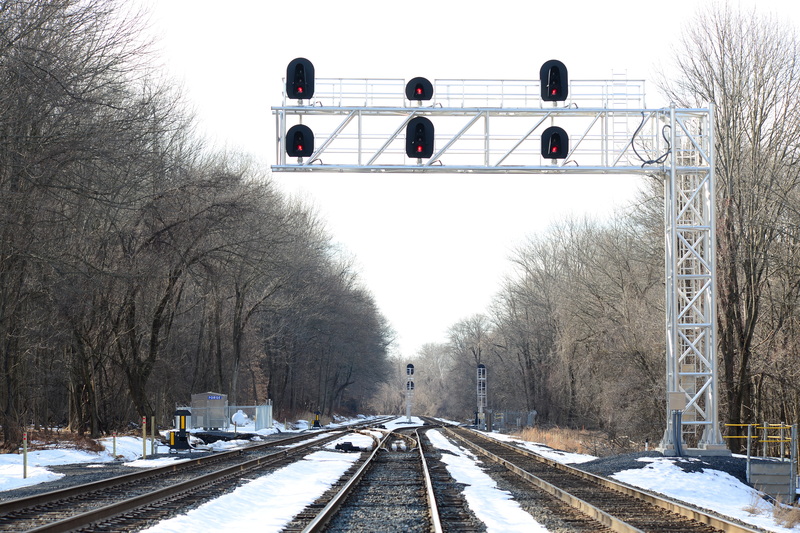 Well NS just cut in the CTC on the former Conrail Reading Line, however the original "Reading Line" was the Reading railroad Main Line between Philadelphia and Reading. Eventually folded into the Conrail Harrisburg Line, running between Philadelphia and Harrisburg, the western end was given the CTC treatment pretty much on the NS/CR border in 1999/2000. However, the portion between Reading and Philly was largely left in it's ABS Rule 251 State barring a few bits and pieces here and there. 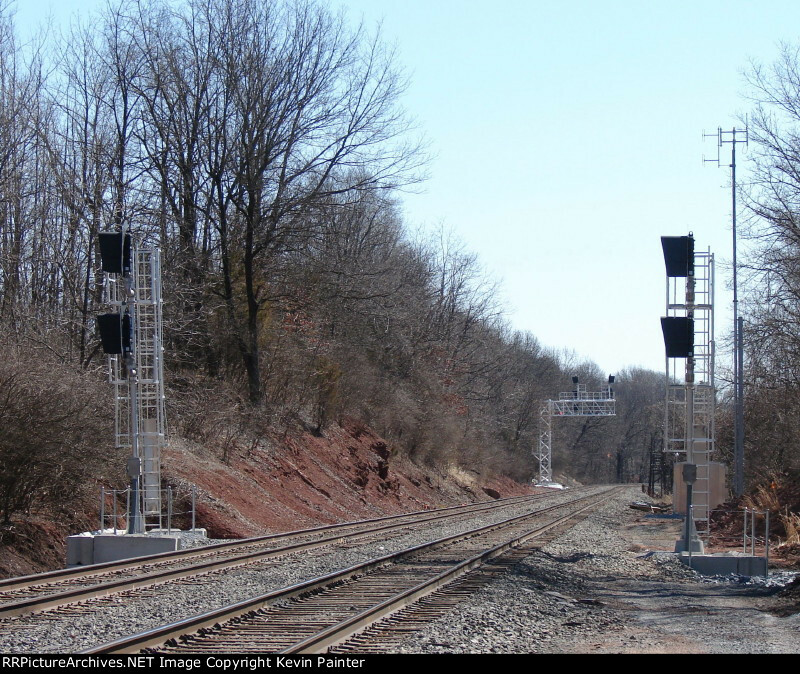 NS has already gone about replacing most of the former Conrail ABS small target searchlights with Darth masts, and then embarked on a re-signaling project that has gone from CP-FALLS to CP-PHOENIX (exclusive). However a few searchlights and Rule 251 remnants hold on. Still, a new crossover is in evidence at CP-BIRD and just a few miles north of there a new crossover is going in at the future CP-LORANE. The biggest loss, besides the whole concept of single direction ABS, will be CP-TITUS, which is pretty much still in it's 1960's Reading System configuration, complete with a movable point diamond. Needless to say, that i currently my top target for documentary preservation. Hopefully things will move slowly, as they did with the Reading Line, however one has to be prepared for the unexpected, like with the Allentown Terminal complex. Don't pass up the opportunity to get out there while you can. Just an update: The portion between Rock and at least Norris was cut in this past week. It had been 251 between these two points with some of the old searchlights. Quite often westbound trains would be held out at Swedeland on main 1 and Track Authorities were routinely issued to run other westbounds ouround them from Rock to Norris. I saw a new cantilever signal bridge at Swedeland hosting 4 signals in late July and observed noted the installation of insulated joints over the next few weeks. On Wednesday I heard a train coming east out of Abrams comment about a signal aspect he'd never encountered and the Buffalo Mainline dispatcher mentioned something about a PTC cutover. Drove by and sure enough The signals were all aligned with number plates, and the nearby eastbound searchlight signal with a doll arm was lying in the dirt, RIP.